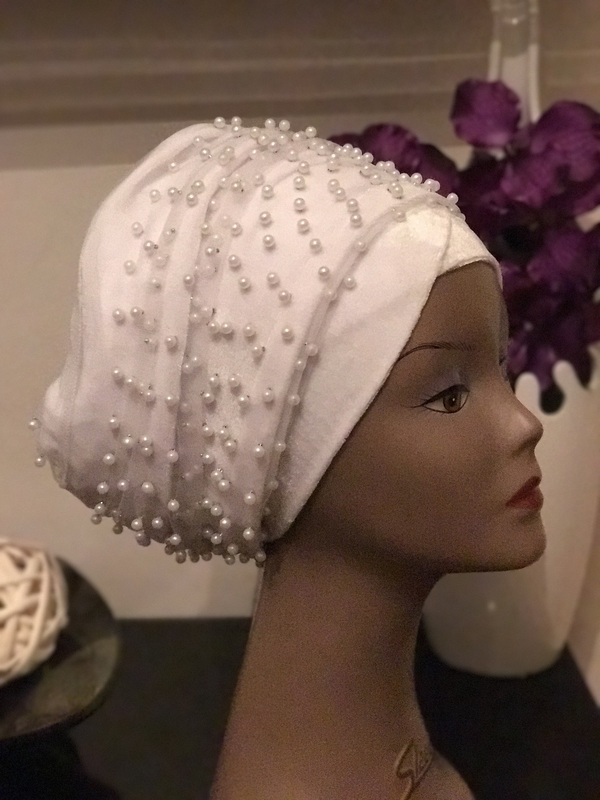 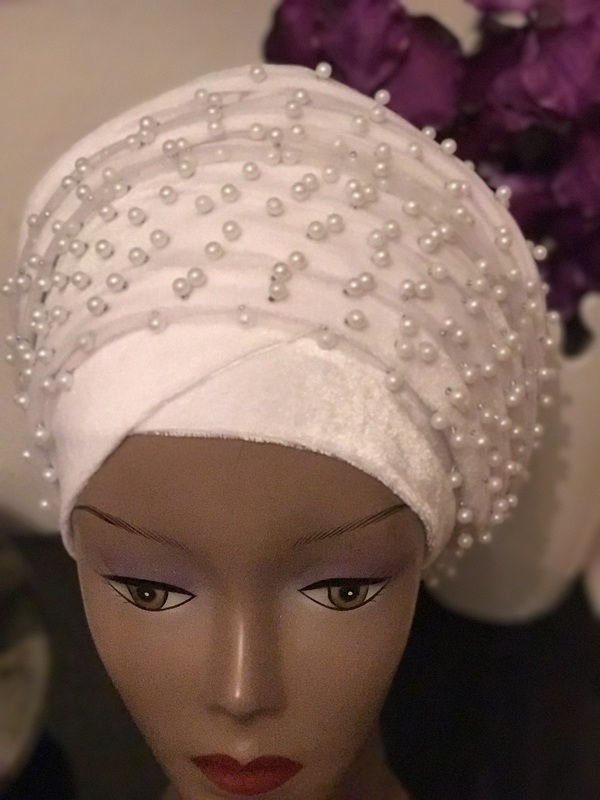 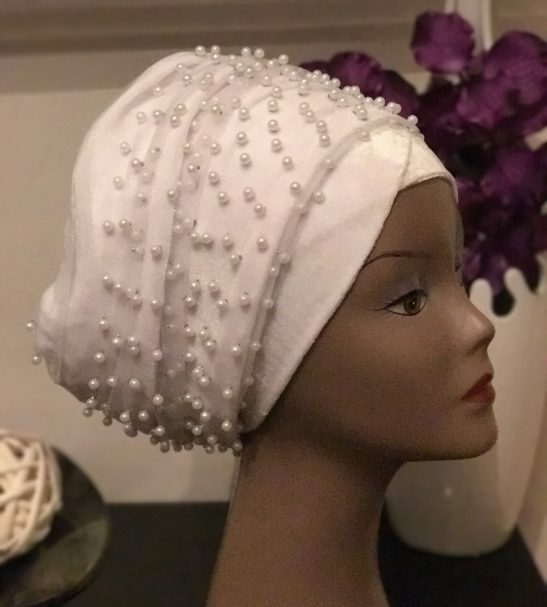 Fully Beaded White Extra Large Velvet Turban hand made with velvet and mesh lace. 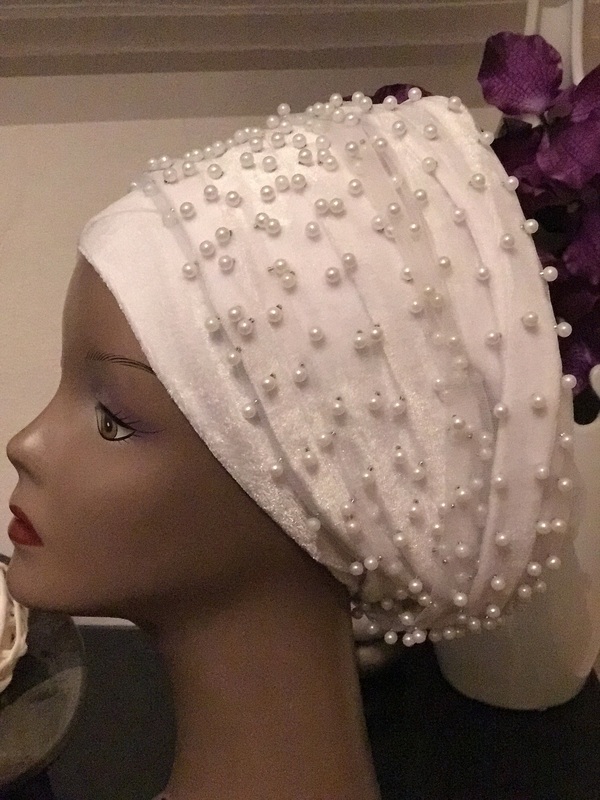 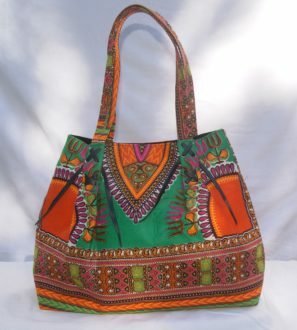 The fabric is soft on the head and perfect for day to day use. 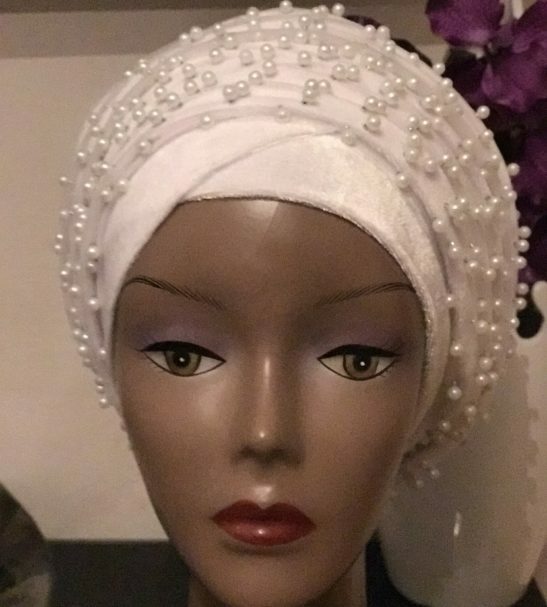 You can never go wrong with these beautiful and affordable head wraps. 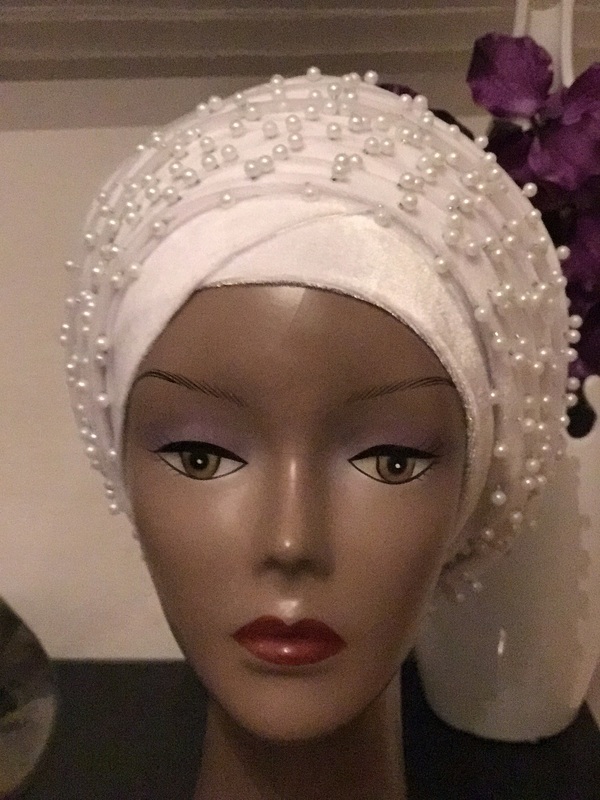 Fully Beaded White Extra Large Velvet Turban hand made with velvet and mesh lace. 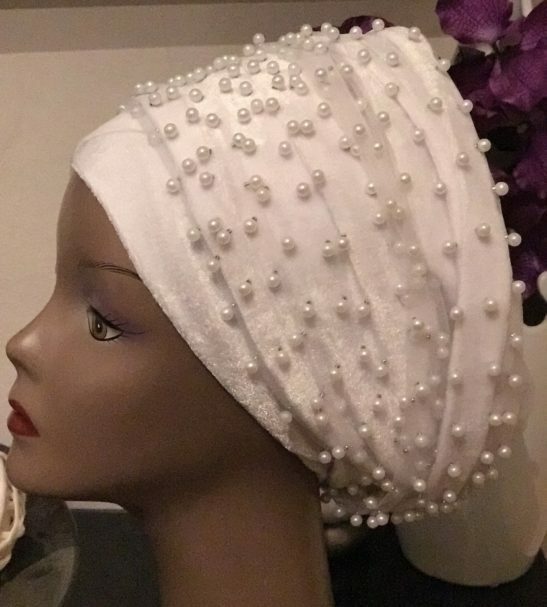 The fabric is soft on the head and perfect for day to day use. 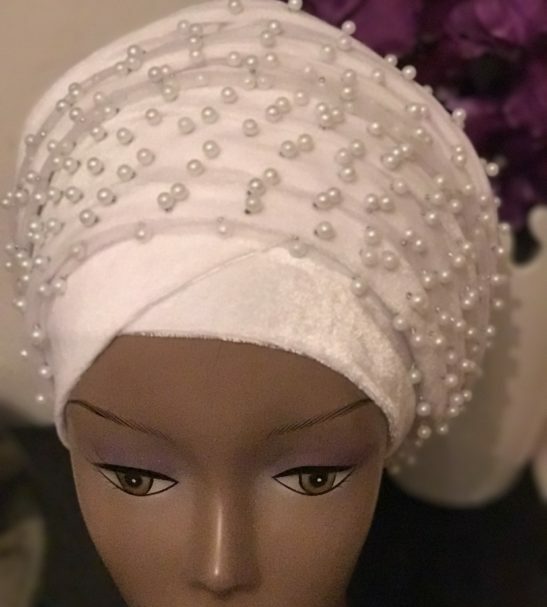 You can never go wrong with these beautiful and affordable head wraps. 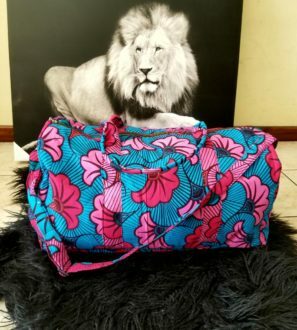 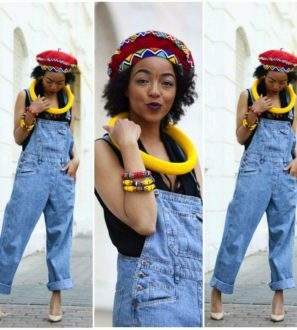 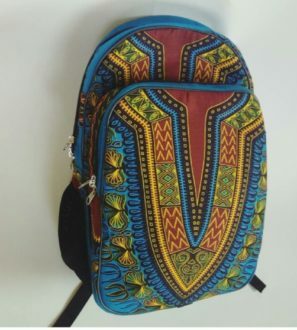 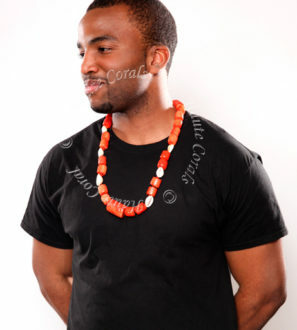 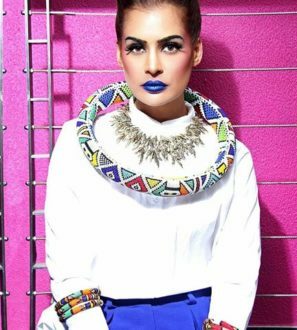 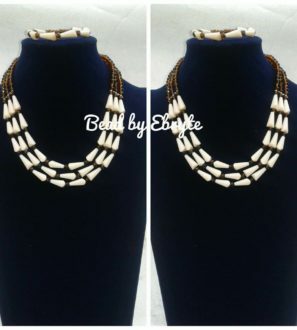 It’s as easy as just wear and wrap round for a comfortable African style. 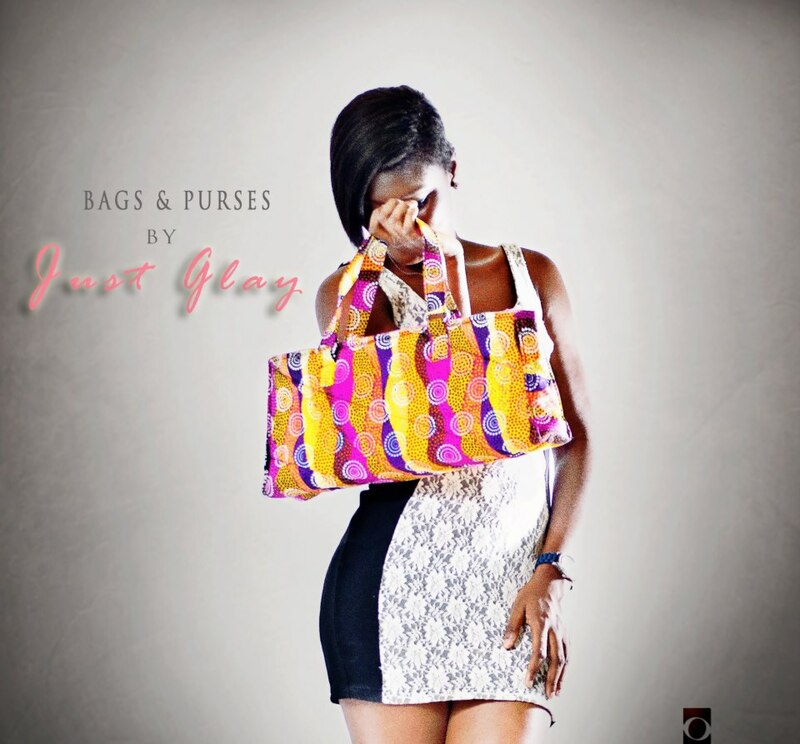 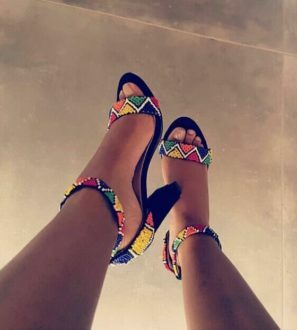 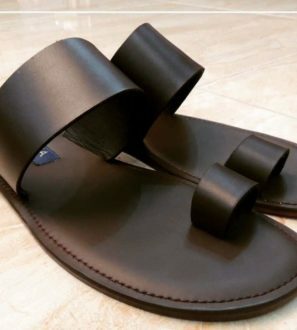 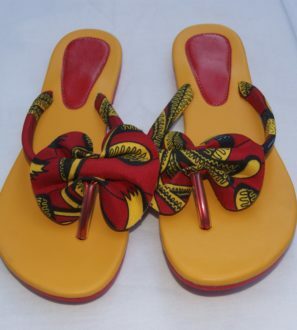 They are custom made and beautifully designed to give elegance to any outfit (either dressed down and for any occasion). 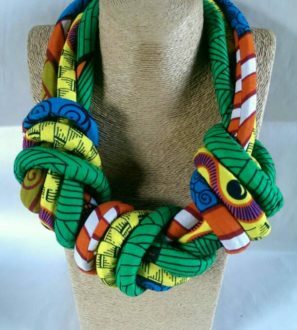 All Hand wrap scarfs come in one size. 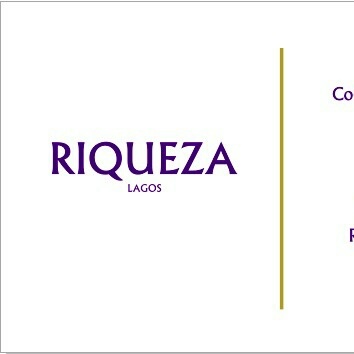 Dry clean only recommended.